3. 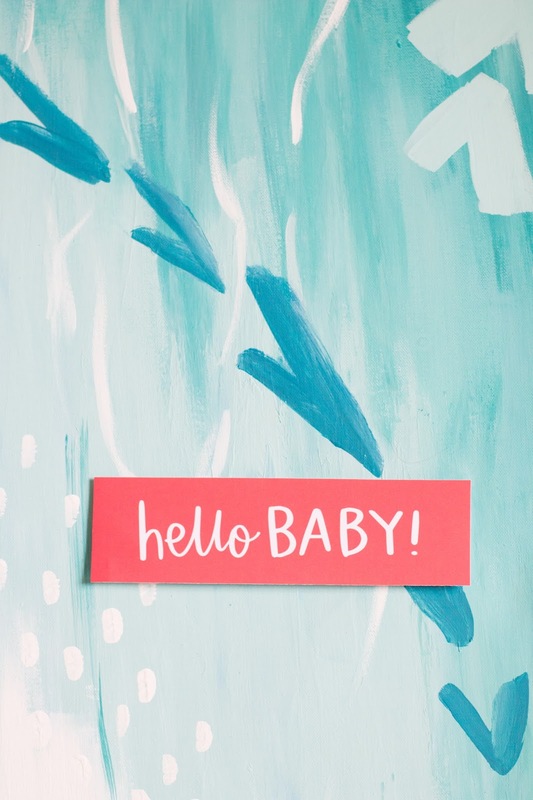 Add Hello Baby printable (download here!) and a bow, and voila! 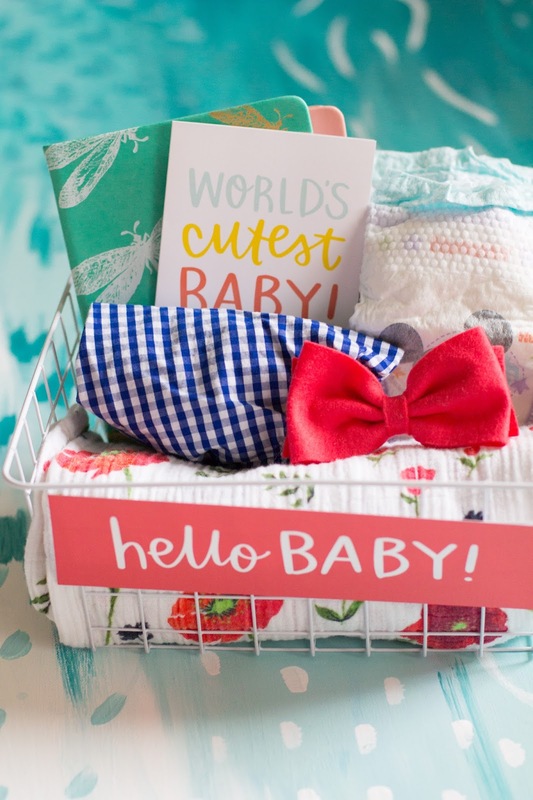 You've got yourself a pretty little package for baby! I tend to forget everything that happened those first six weeks, so writing things down was the only way I remembered anything! 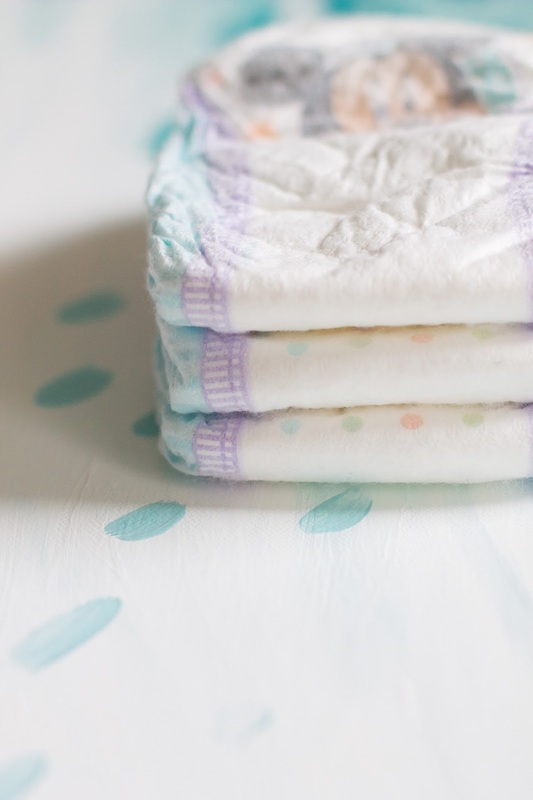 One can never have enough diapers! 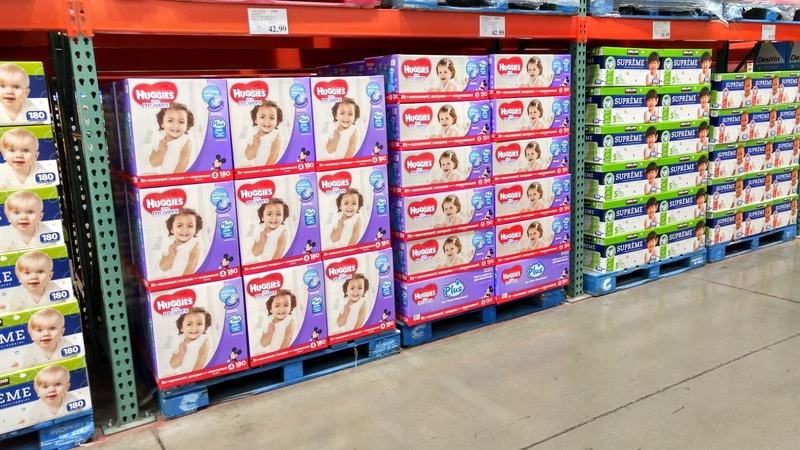 Our FAVORITE diapers are Huggies Little Movers Plus, available only at Costco. 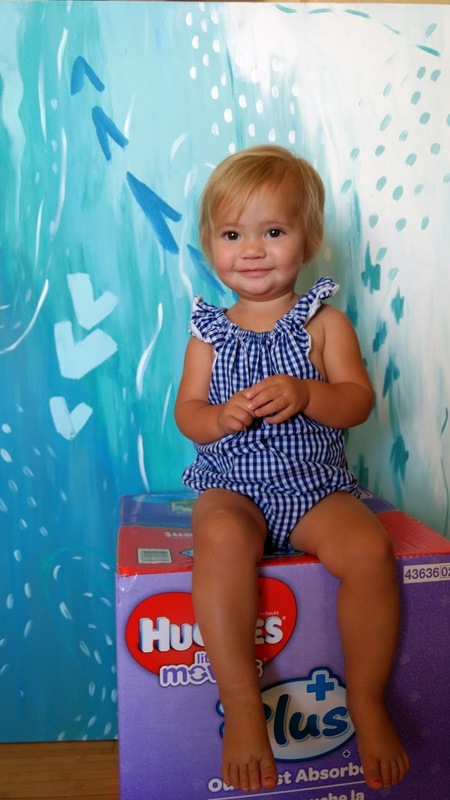 We are huge fans of Huggies (it's the only brand we have used with Addie!) and minus the few times we ran out on vacation, we almost always buy them in the big boxes from Costco. I love that they are made for babies on the go, with up to 12 hour protection. 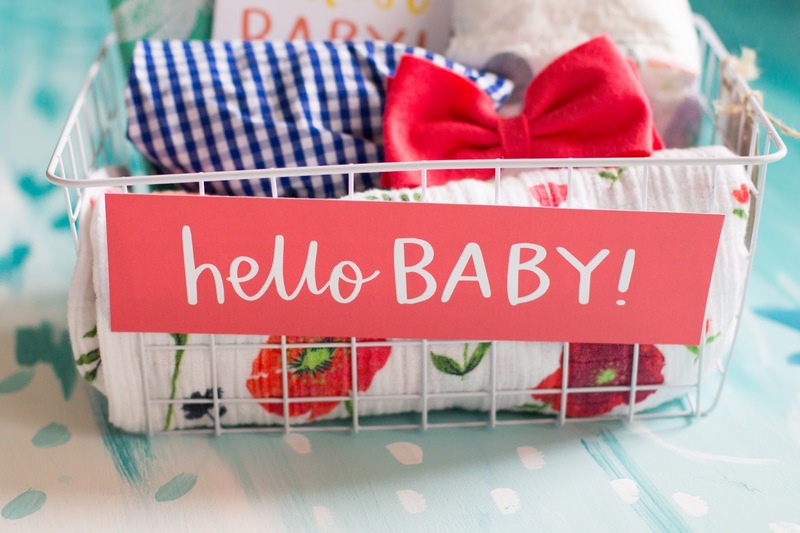 We love bows or these cute bibs or an outfit < rompers are a great summer choice! Gotta have something to keep you awake in the wee hours of the night! 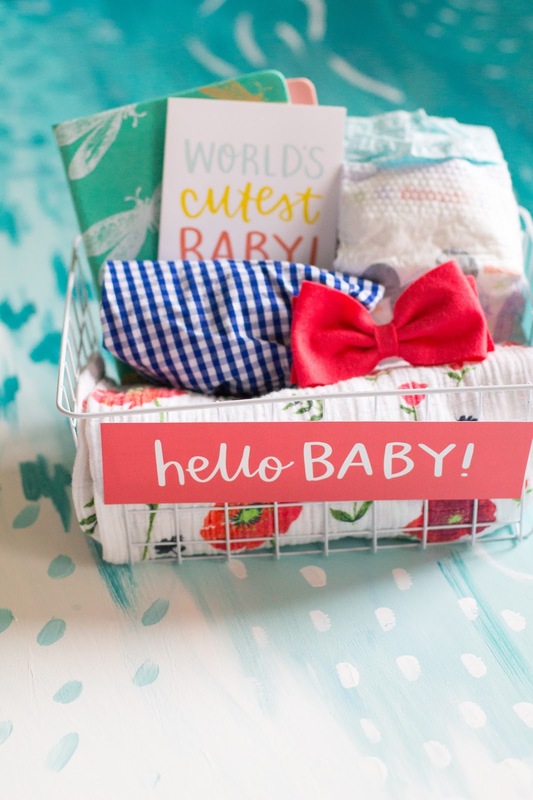 What are some of your tried and true baby favorites? I'd love to know!! P.S. 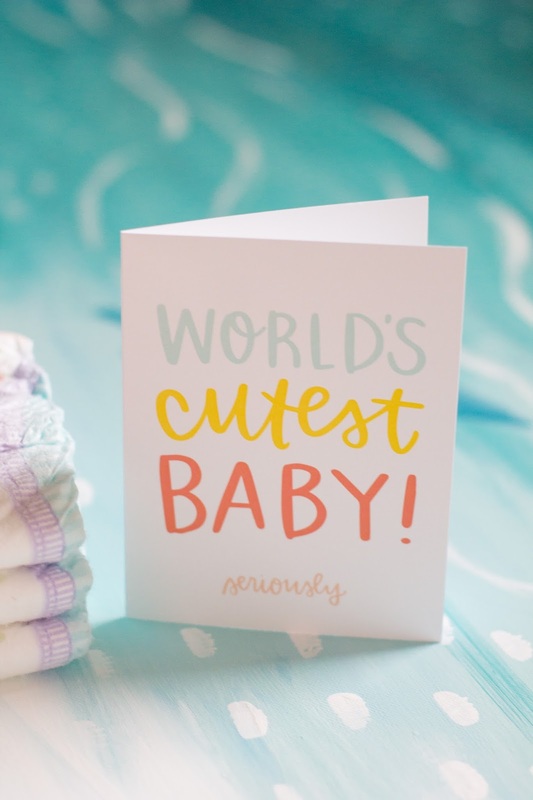 If you're looking to stock up on our favorite diapers (for yourself or for a friend! ), you can find Huggies Little Snugglers Plus (Sizes 1&2, and now Newborn!) and Little Movers Plus (Sizes 3, 4, 5, and 6) at Costco.com. You can also recieve a $6 discount and free shipping until 9/25!